Angelina started her recording career at the age of 10, her groundbreaking c.d. Angelina Prays the Rosary has been very successful. Her new CD "Wake Up Call" was released March 7, 2001 and has already generated much interest across the country. Inspirational songs and Lullabies that Span over 70 years. 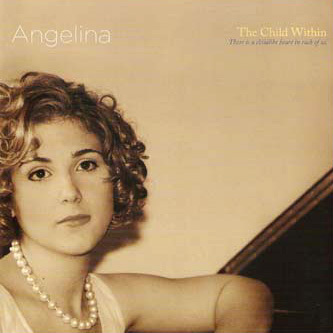 Angelina has chosen spiritual and uplifting collection of songs and lullabies to inspire childhood memories. These songs are filled with childlike innocence that encompass, spirituality, love of God and life, and creative imagination. As an extra BONUS, Angelina recently has started to write and there are a few of her first poetic pieces on this CD. 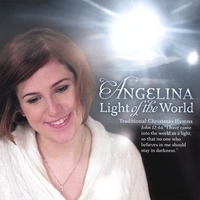 A mosaic blend of Angelina's favorite inspirational hymns and secular songs. At the age of 2, Angelina began singing for family gatherings. Now, a dozen years later, Angelina's stage has grown from her hometown in Mississippi to settings around the nation and the world. 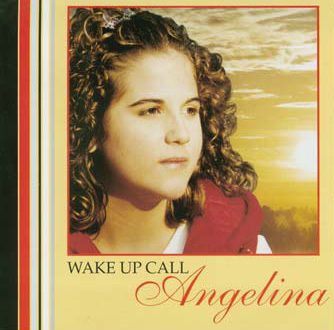 "Wake Up Call" released 6 months before 9-11 is the brainchild of Angelina herself. 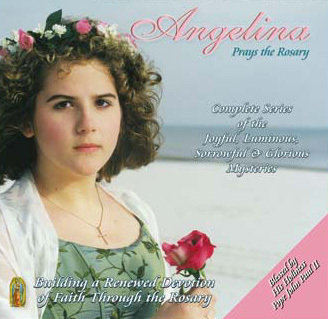 Angelina recorded this CD at the age of 12 and wanted to send a strong message to people to WAKE UP to their individual faiths and start living their lives as a gift to be given. Angelina has a strong sense of herself and what she wants to do for others with her gift. A must have for anyones music collection! Angelina narrates this dramatic version of the Stations of the Cross from the perspective of Jesus' mother and our mother Mary. Experience special blessings through the devotion of "Mary's Way of the Cross". Angelina narrates this dramatic version of the Stations of the Cross from the perspective of Jesus' mother,and our spiritual mother, Mary. "Mary's Way of the Cross" enables the listener to enter into an intimate journey of faith through a deep reflection that will unite ones pain and suffering with Jesus on the Cross through the sorrowful heart of Mary. Practical meditations along with music and songs such as "At the Cross Her Station Keeping". A Perfect devotional tool for all ages. Special Note: There is a very special story inside the cover of this recording. What took place is exactly what happened. The recording was not altered by the studio whatsoever. 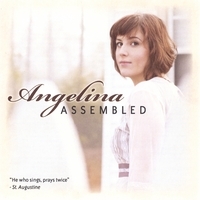 A collection of songs from Angelina that will surely inspire you to a new understanding of how to bring a deeper holiness to your daily life through prayer and song. At the age of 18, Angelina is known as one of the top independent Catholic/Christian recording artist in the United States and abroad. This CD/DVD combo is the companion CD, "Songs of the Faithful" and Angelina's Award Winning music videos "The Faithful" that was filmed in Italy,Ireland and Poland put together for one GREAT LOW only. Angelina continues to set the pace to a higher standard of productions in the Catholic/Christian market. This CD/DVD combo will surely fill your heart with a new understanding and deeper devotion to the "Faithful" servants of God. A wonderful Christmas CD that will capture the sounds of the holidays. 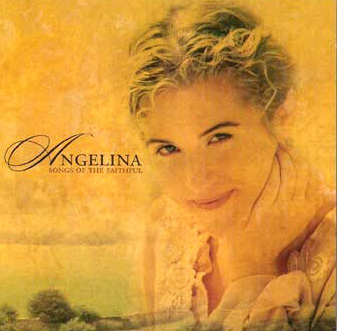 Angelina's latest recording, "My Gift To You" continues her remarkable development as a contemporary Christian artist. 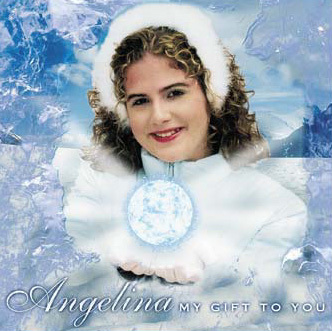 This much awaited CD shares Angelina's favorite holiday songs to celebrate the holiest of seasons. Angelina's outstanding vocals are receiving rave reviews in the music industry. She is accompanied by jazz saxaphonist Mr.Al Belletto, fiddle/guitarist, George Mason, classical guitarist, Giovanni DeChario and keyboards, Derrell Brown. This is a perfect addition to any musical collection or holiday gift! Chosen Spoken Word Album of the year, this Cd is a wonderful tool if you are interested in a deeper prayer life. The Chaplet of Divine Mercy is one of Angelina's favorite devotionals. She has been saying it since she was 11. She began working on this CD in early 2001 when she was but 13 years of age. It was released on September 11, 2001. A date in which the whole world will never forget. Very appropriate considering this prayer ask for "Mercy on us and on the whole world". Mr. Giovanni DeChairo accompanies Angelina with his classical guitar. Mr. DeChairo has played at Carnegie Hall, for the Pope and many concerts around the world. He can be heard often on Public Radio in the United States. Angelina is a successful independent artist. She has been singing since the age of 10. Her CD's are revered as some of the most popular Spoken Word and Music CD's in her genre. She currently is attending the Music School at Catholic University in Washington, D.C. and continues to produce the "Best" in Catholic Musis with a solid faith based belief. Angelina also travels and performs in her spare time when her schedule allows.